How do we develop a spiritual intelligence? How do we change ourselves so that we can live by the universal spiritual values? 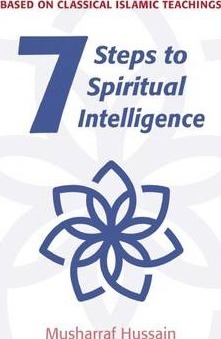 Seven Steps to Spiritual Intelligence tells us how to do do so, while also summarizing fourteen centuries of spiritual wisdom in Islamic literature, from the great scholars and Sufis of Spain, Morocco, Turkey, and India. Musharraf Hussain, PhD, OBE, is the director of the Karimia Institute in Nottingham, United Kingdom. He has written numerous books on Islam including The Five Pillars of Islam and Seven Steps to Moral Intelligence.